After spending 2 years as a queen in the county fair system, I realized what a unique and rewarding system it was and decided to stay involved which is why I have helped on the crews of both Sangamon County and the state pageant every year. County fairs are such an important part of our communities because they reflect volunteerism at it's best, while showcasing agriculture and providing fun and entertainment for everyone. County fair queens are given a unique opportunity to become the spokesperson for their fair, their county and the people who live there, as well as for agriculture. It's a great learning and growing experience not just for the girl who is given the crown, but for every girl who participates. We are lucky here in Sangamon County to have, in my opinion, not only the best county fair in the state, but one of the best county fair pageants. This is a direct result of past pageant directors and a dedicated, hard-working crew. 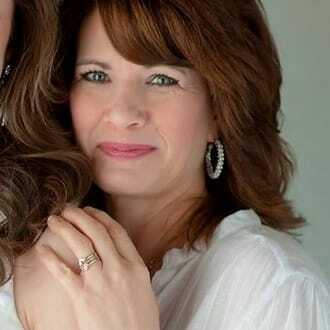 These ladies work tirelessly every year fundraising and promoting our pageant so that it can continue to be a positive experience for every girl who becomes a contestant. County fair pageants are truly like no other pageant system in our state. It is not easy to put into words how they are different but the word that comes to my mind is always “family”. We really are a family and like all families, we remain connected by this shared experience regardless of whether we are crew, contestant, or queen. Every June we look forward to another outstanding pageant, as well as seeing our “family” members who return to help or watch and it is a wonderful reunion. To any girl out there who has ever considered being a contestant in the Miss Sangamon County Fair Queen pageant I say…why not? You have nothing to lose and so much to gain just from the experience. We hope to see you soon! Cheryl (Hill) Washko; Miss Sangamon County 1982 and Miss Illinois County Fair 1983. I have been on the Miss Sangamon County Fair Queen pageant and the Miss Illinois County Fair Queen pageant crews for over 30 years. I have also been judging county fair queen pageants for over 30 years. I am married to Troy Washko, owner/operator of Troy A. Washko, CPA in Springfield. We have 4 children...Joel, Jared, Anna & Alise and have added two daughters-in-law, a son-in-law and two beautiful granddaughters to our family. 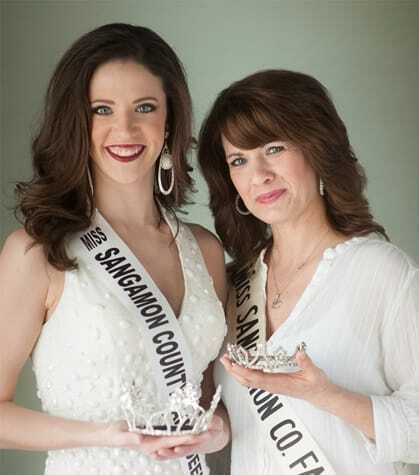 My daughter Anna was Miss Sangamon County 2014, making us the first mother-daughter queens from Sangamon County. My sister Kim (Hill) Brown was Miss Sangamon County 1980 making us the first sisters to be queens but definitely not the last! We currently have six sets of sisters who have been queens.